Planning a beach themed engagement party or a beach wedding? 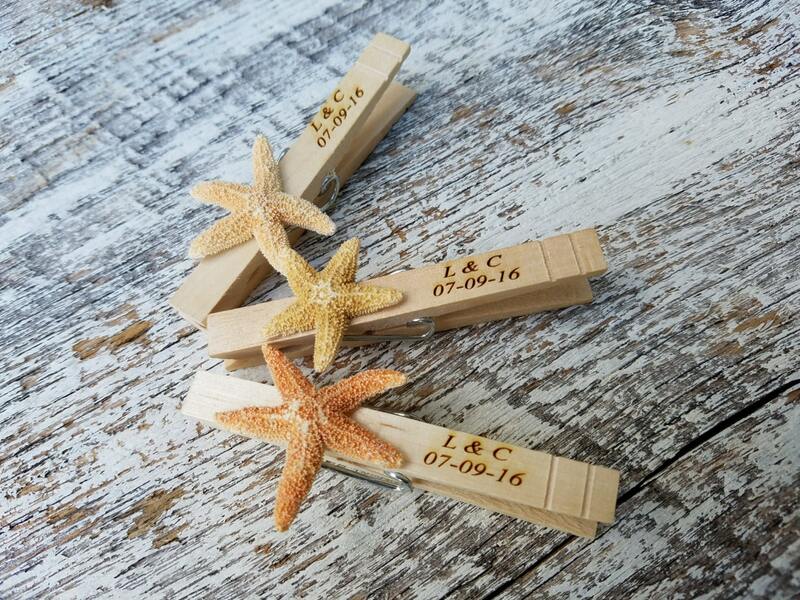 Add this beautifully decorated and personalized clothes pins to your beach wedding decor! They can be used as name place holder and favors at the same time. They clip can be used as a picture holder after the special event. We can engrave the clothes pins with initials & date, a name or special events name. We can use the sugar starfish shown, white knobby starfish or the white finger starfish.